Daniel Harris has a broad civil litigation practice that extends to a variety of areas, including securities, partnerships, contracts, consumer rights, employment and legal malpractice. He has substantial appellate experience, including a case that was unanimously decided in his client’s favor by the California Supreme Court. (Even Zohar Constr. & Remodeling, Inc. v. Bellaire Townhouses, LLC (2015) 61 Cal.4th 830.) 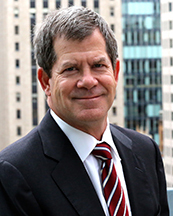 Mr. Harris also has served as court-appointed counsel in federal habeas corpus proceedings.For several years following law school, Mr. Harris worked at the U.S. Securities and Exchange Commission, first as a Staff Attorney and subsequently as the Branch Chief for the Enforcement Branch in the SEC’s San Francisco office. After leaving the public sector, he has focused on complex business litigation, principally securities and consumer class actions, and shareholders derivative cases. Mr. Harris is admitted to practice in California and in numerous federal courts, including the U.S. District Courts in California, the Courts of Appeal for the Seventh Circuit and Ninth Circuit, and the U.S. Supreme Court. Mr. Harris earned his J.D. from George Washington University in 1984 and a B.A. in Political Science with honors and distinction in scholarship from the University of California at Berkeley in 1981.